For us, 8 person tents hit the sweet spot for families or groups ranging from 3-5 people. They're not so big and awkward that they are a struggle to set up and transport. But they still play into that slightly luxurious side of camping where indoor storage and living space is a must. There's a lot of tents manufactured with 8 person capacity so we had some amazing options to choose from when compiling this list. 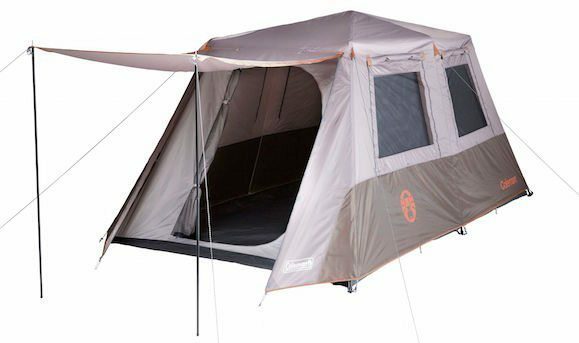 The super impressive Black Wolf 300 Plus took out the top spot for best 8 person tent in 2018, but the other options are also awesome tents in their own right. 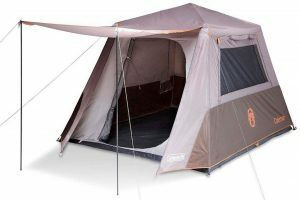 Below is what we consider to be the best 8 man tents currently available in Australia. For other reviews on similar sized tents, see our Family Tents page or 6 person tent reviews page. This is one of our favourite tents. In terms of striking the perfect balance between ease of use, weatherproofing, and liveability, it is second to none. The materials and construction are premium and it really is evident how much thought has gone into ensuring this tent provides the best user experience possible. 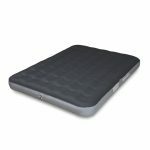 It is extremely spacious, super easy to set up and take down, and solid as a rock. 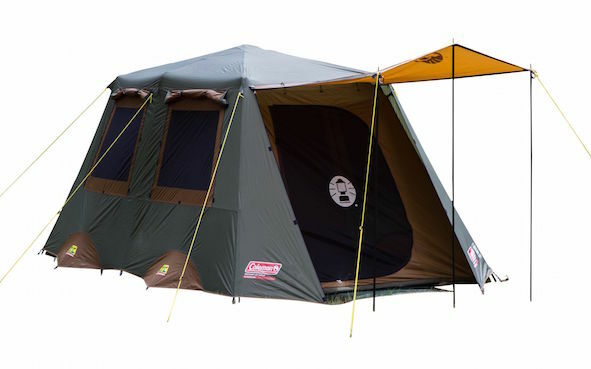 In our view this is easily the best 8 person tent available in Australia. A premium tent without the premium price tag - this tent presents a very appealing balance between quality, ease of use, and affordability. The instant up design is revolutionary, making set up and take down quick and easy, even with a tent the size of the Instant Up Gold 8P. 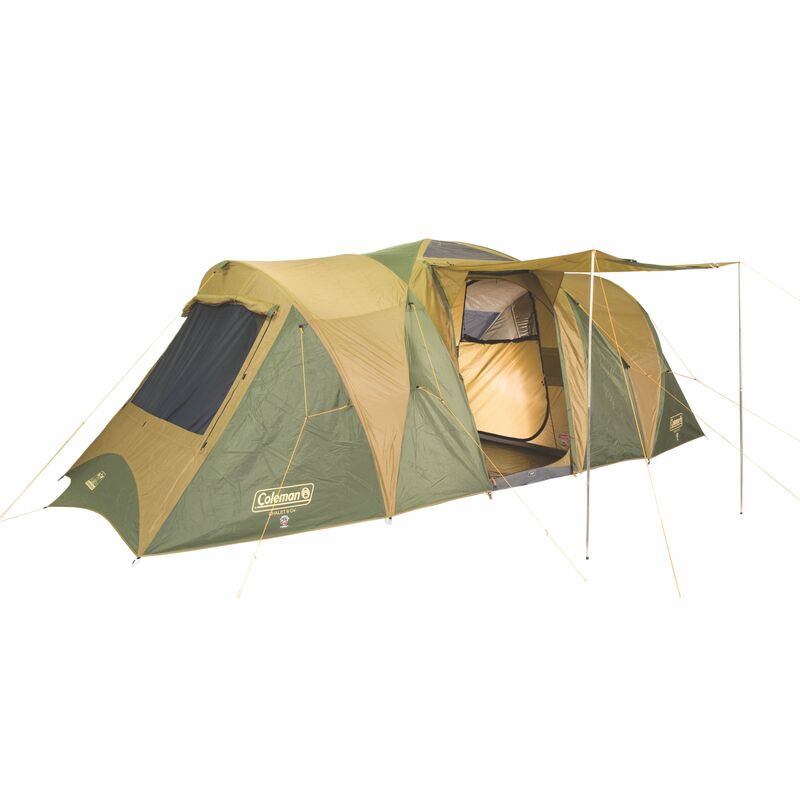 This, combined with a range of impressive features, make the Instant Up Gold one of our top choices for a family tent in Australia. 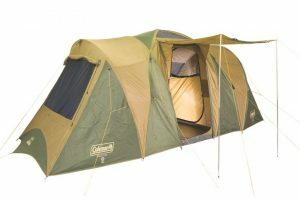 If you are in the market for a reliable, great value, family tent, the Coleman Instant Up 8P should be one of your top contenders. 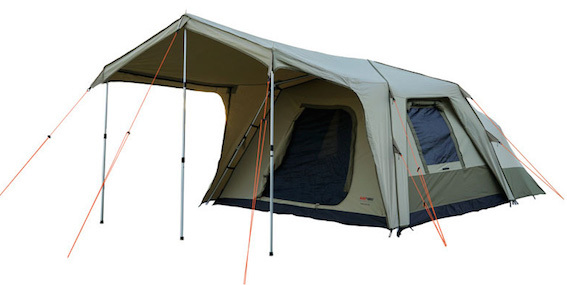 It was very easy for us to award the Instant Up the title of best value family tent in Australia. It goes up in a couple of minutes and is packed with features where it matters. The Instant Up is packed with technology where you need it, including a fully seam sealed waterproof fly, patented welded floors and inverted seams, and a waterproof rating of 1500mm. It boasts a spacious interior that could comfortably fit 2 adults and 2 or 3 kids. There is an issue with the awnings pooling water that means they should not be left up in heavy rain, but other than that we have struggled to find any faults. If you think you need something more heavy duty, we recommend looking at the Coleman’s Instant Up Gold range, or the Black Wolf Turbo 300.